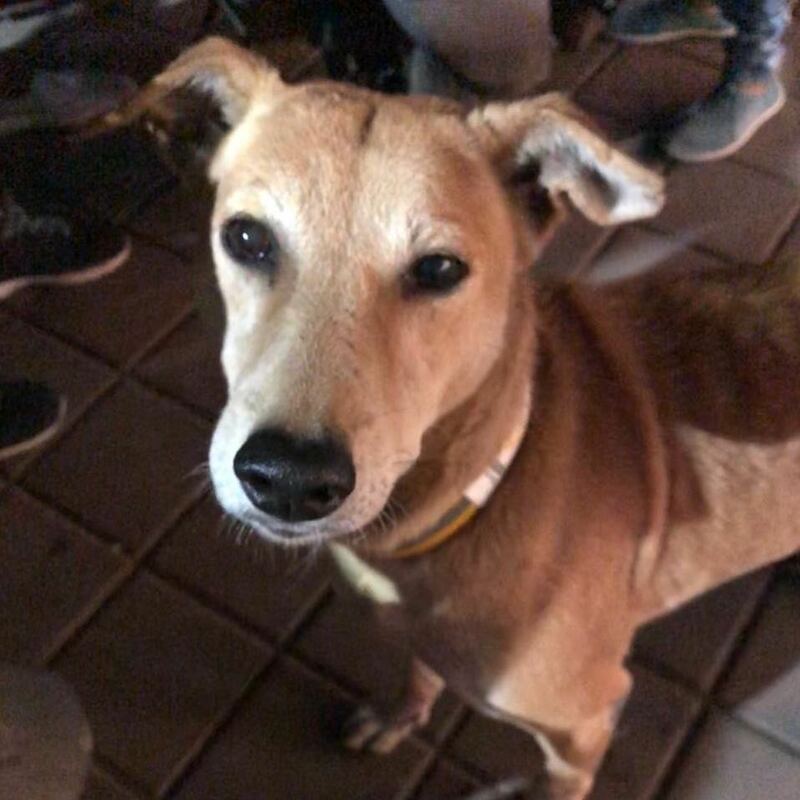 The no name brown dog came into my life a couple of months ago when a local animal group reported that a dog was lying listless and not moving at all outside the local eatery Wadeshwar in Kalyani nagar. He seemed to be dying is what they said but further enquiries revealed that he was just a very scared little dog, afraid of humans, didn’t like being touched and stayed aloof. That same evening while catching up with friends I found him and decided to feed him some food. He refused to come close but after I put the food down and walked away he went and ate it. This is how our journey started. Over the next few months I put food daily for him and from not approaching me at all, to standing and watching me, to the tiniest wag of the tail, a glint of recognition in the eye, to finally a big wag, coming close, nuzzling, pawing and asking for food, we have today reached a stage where as soon as he hears my voice he comes running, starts nuzzling and wagging his tail. Gone is the scared skittish dog and it has been replaced by the most gentle loving soul who will wag and roll on the ground for everyone. I decided to name the No Name dog as Medu for he seems to favour the South Indian eatery as his place and today Medu is there to welcome one and all. Do stop by and say hello. This is Shivani & Medu’s story……. what’s yours?